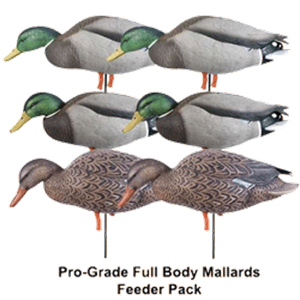 These Pro-Grade Full Body Mallard Feeder 6 pack (AV72115) by Greenhead Gear GHG Avery Outdoors feature a new design and new paint schemes. 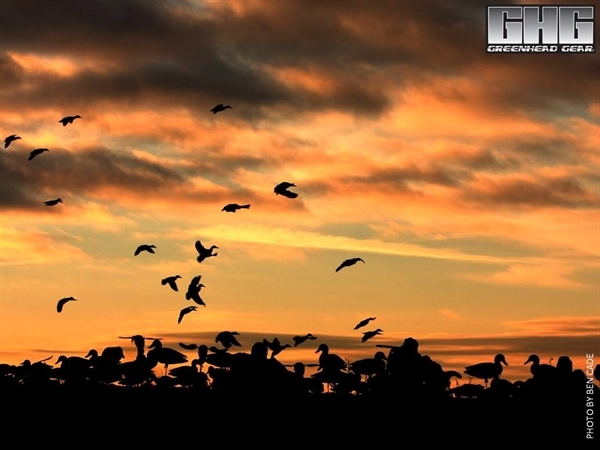 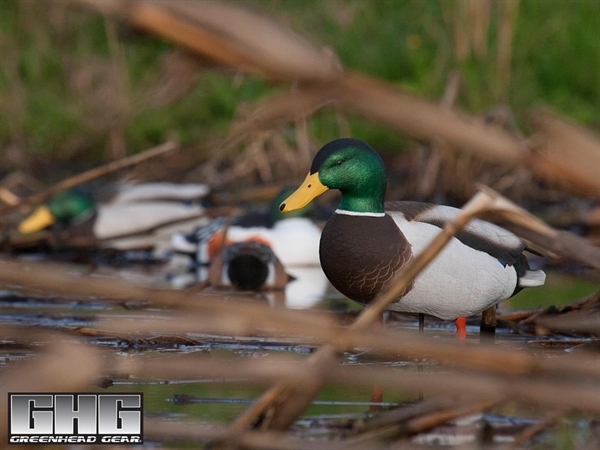 Once again GHG® has revolutionized the full body mallard decoy. 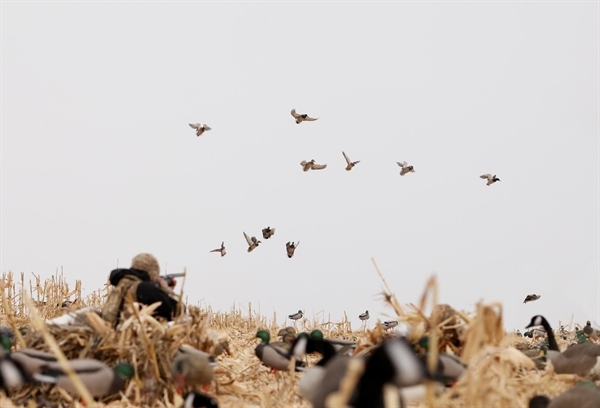 This one-piece design eliminates broken heads and split bodies, and the RealMotion® II System makes for easy set up and pick-up. 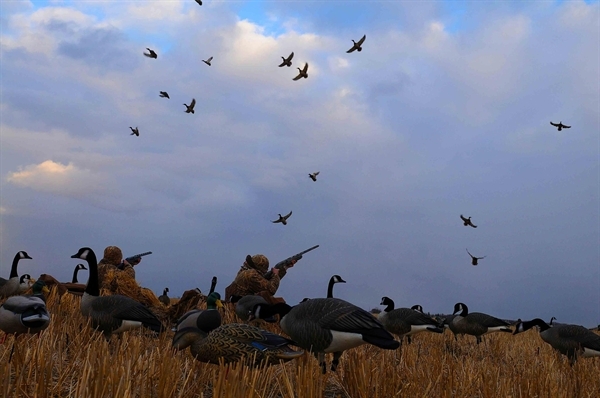 Perfect bodies, RealLegs™ and molded-in primaries combine with vibrant paint schemes for unprecedented attention to small details. 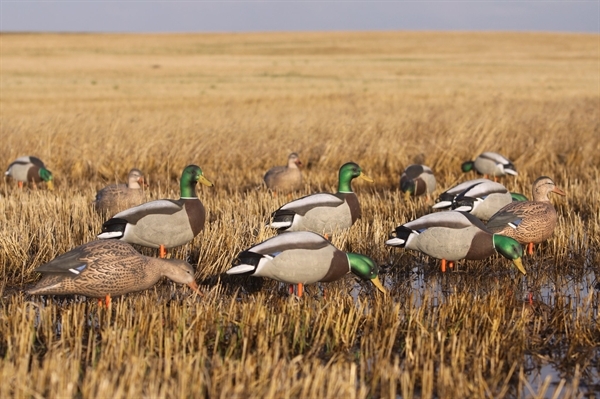 Pro-Grade Full Body Mallard Decoys by Greenhead Gear GHG puts a whole new dimension to full body Mallards. 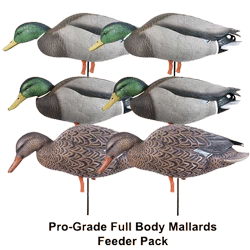 These Pro-Grade Full Body Mallard Feeder 6 pack (AV72115) by Greenhead Gear GHG Avery Outdoors are made to last.